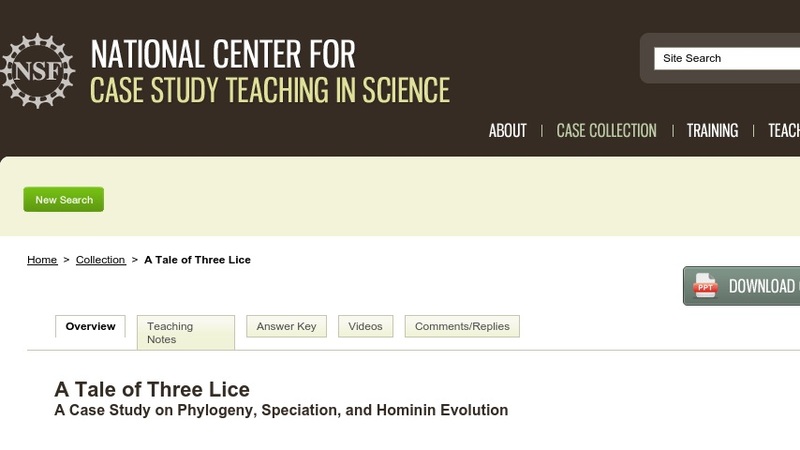 This “clicker case” explores the questions of when hominins lost their body hair and began wearing clothing by examining the surprising phylogeny of human head, body, and pubic lice. Students are led through the scientific process as they are asked to think about hypotheses, predictions, results, and conclusions, and learn about phylogeny, speciation, and hominin evolution. The case is presented class using a set of PowerPoint slides (~1.5MB) that includes multiple-choice questions students answer using personal response systems (“clickers”). It could be adapted for use without these technologies. Developed for a general biology class focusing on evolution and ecology, the case is also suitable for use in a non-majors introductory biology course.